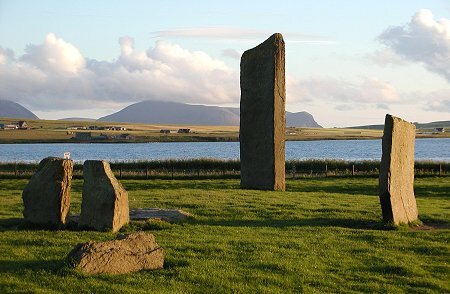 West Mainland is the largest part of the largest island in Orkney. 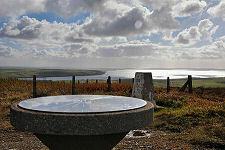 Mainland is pinched to a narrow neck only a mile or so wide that extends from Kirkwall in the north to Scapa Bay in the South. West Mainland comprises everything to the west of that isthmus. The A964 south west from Kirkwall passes Scapa Distillery then takes you parallel to the south coast of the island overlooking Scapa Flow. A sign on the left to Waulkmill Bay takes you to a parking area from which you can walk down to the wonderful sandy bay itself. 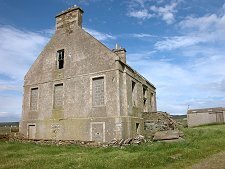 Further on, the main road takes you through Orphir and past the sheltered bay of Houton, now the ferry terminus for Lyness in Hoy and the oil terminal at Flotta. Just short of Houton you should look out for the tourist signs pointing down a minor road to your left leading to the Round Church and Earl's Bu. Here you will find an attractive churchyard with the remains of a circular church built in 1123. 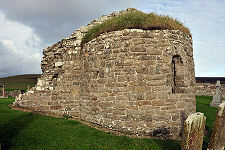 Close by are foundations and grassy mounds associated with an Earl's mansion house and drinking hall featured in the Orkneyinga Saga. 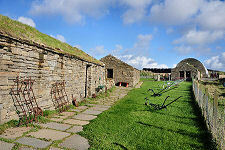 And by the parking area itself is the Orkneyinga Saga Centre, where you can find out more about the Vikings in Orkney. A couple of miles north west of Orphir are the remains of the Hall of Clestrain, birthplace of Arctic explorer Dr John Rae. 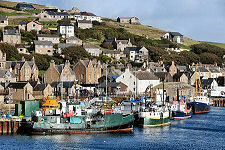 The area's main settlement, excluding Kirkwall, is Stromness, at the south west tip of the island. 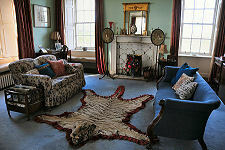 This is a charming town with a narrow and winding main street that richly rewards exploration. Nearly a mile in length, it is intersected by roads and paths rising steeply up the ridge behind the town, and others passing between gaps in buildings to give access to the many private wharves on the waterfront. Once the main base of the Hudson Bay Company, Stromness oozes its nautical heritage and remains the terminus for the main car ferry from Scrabster near Thurso. 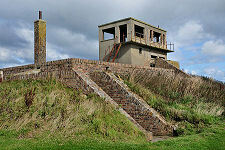 It is also a centre for diving Scapa Flow. Stromness is home to the excellent Stromness Museum, while overlooking Hoy Sound just to the south of the town is the amazingly preserved Ness Battery, a coastal defence battery used in both world wars. About half way up the west coast north of Stromness is Skaill Bay. 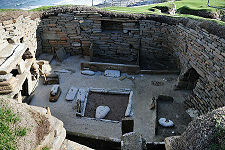 It was here that in 1850 a great storm uncovered the best preserved Neolithic village in Europe, Skara Brae. This is a truly superb place that gives a real feel for the day to day lives of our ancestors over five thousand years ago. 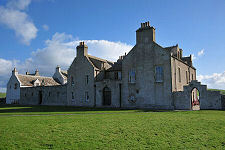 A few hundred yards inland from Skara Brae is Orkney's finest mansion, Skaill House. 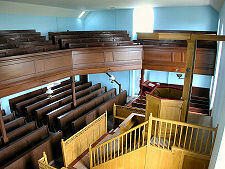 Much of this, too, is open to the public including a number of very attractive public rooms. The Skara Brae visitor centre sells joint tickets for Skara Brae and Skaill House and together they allow you to see evidence of continuous habitation of the area over the last 5,000 years. 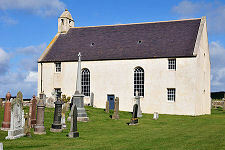 On the north side of Skaill Bay is the wonderfully restored St Peter's Church. North again, and the coast becomes more rocky. 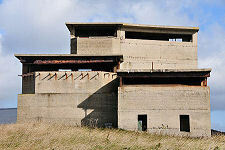 Perched on the 250ft cliffs at Marwick Head is the Kitchener Memorial. This was erected in 1924 to commemorate the nearby loss of HMS Hampshire with the loss of almost all of its crew including the Minister for War, Lord Kitchener, on 5 June 1916. 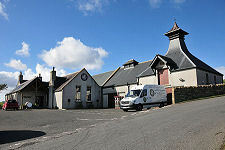 Other attractions in the heart of West Mainland include the excellent Orkney Brewery	and the remarkably preserved remains of the Royal Naval Air Station, HMS Tern. 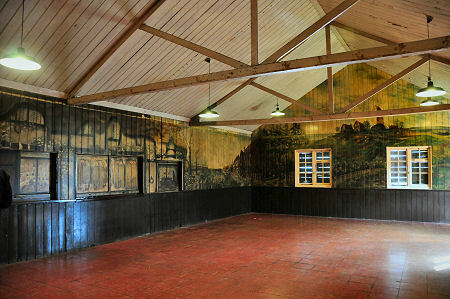 There are also two museums created from preserved farmsteads, Kirbuster Museum and Corrigall Farm Museum, along with Dounby Click Mill. At the north west tip of Mainland is the Brough of Birsay. 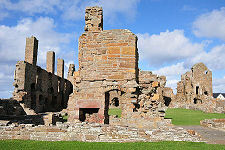 This tidal island is home to a lighthouse, but is better known for the remains of the Pictish and Norse settlements that can be seen here, together with a ruined church built in about 1100. 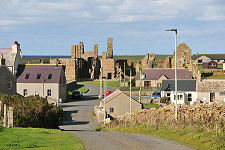 Overlooking the Brough is the village of Birsay, overshadowed by the huge ruin of the Earl's Palace built by Earl Robert Stewart in 1569. 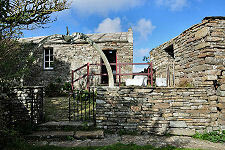 Nearby is St Magnus Church, on the site of a church dating back to 1064. 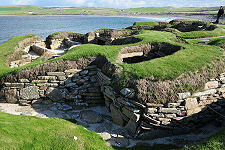 East around the coast and you come to the Broch of Gurness, off the main road on the coast near Evie. 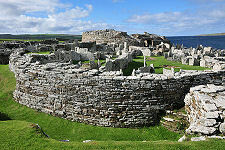 This is the well preserved remains of a broch complete with a surrounding village and defensive ditches. South from here is evidence of another broch at Tingwall, though this is perhaps now best known as the ferry terminal for Rousay, Egilsay and Wyre. 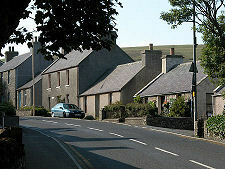 Following the main coastal road south from Tingwall brings you to Finstown, and the junction with the Kirkwall to Stromness road. 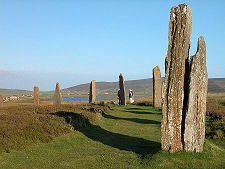 Turning left here will take you to Kirkwall and so complete your circular tour of West Mainland. But if you do that, you miss some of the very best that West Mainland has to offer. 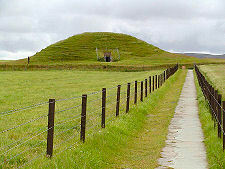 Grouped together within a fairly small area in the centre of West Mainland are the finest chambered tomb in North West Europe at Maeshowe, the standing Stones of Stenness, and the stone circle at the Ring of Brodgar. 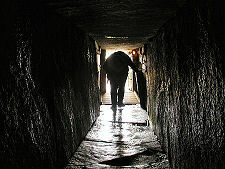 Together with Skara Brae and the Unstan Cairn these were designated as the Heart of Neolithic Orkney World Heritage Site in 1999, and all are essential features on any tour of Orkney. 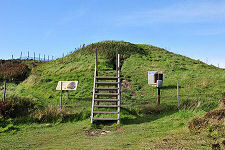 Other ancient monuments not to be overlooked are the slightly more modestly-scaled Unstan Cairn not far from Maeshowe; Cuween Hill Cairn just south of Finstown; Wideford Hill Cairn on the flank of Wideford Hill; and the nearby Rennibister Earth House.